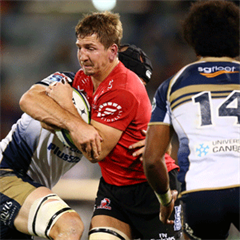 Cape Town – Sport24 chief writer Rob Houwing, in the eighth of his regular South African-focused Super Rugby previews this year, believes travel fatigue may stymie the Lions in their home derby against the Bulls ... who will cash in and edge this one. Praying for a few dollops of “flash” to go with their all-too-routine “bash”, he also backs the Sharks to narrowly see off the Crusaders in Durban. 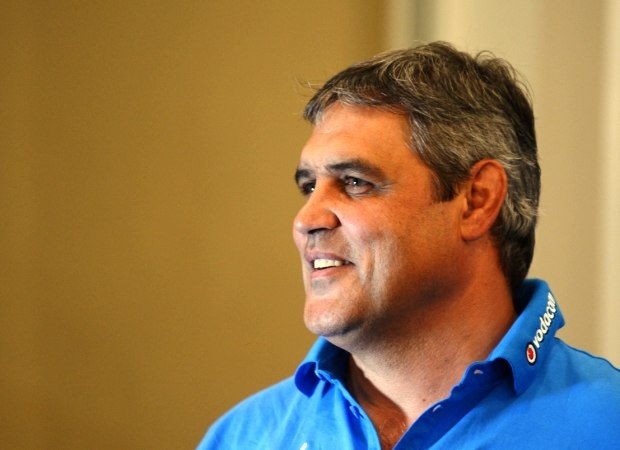 But he anticipates further tour defeats for both the Stormers in Wellington and the Cheetahs in Canberra. Background: The Bulls reminded themselves last weekend, as much as anybody else, that they can actually play some rugby! They contributed fulsomely to a fine spectacle at Loftus against the All Black-laden Crusaders, and deserved to win it. So they will not be short on confidence when they head down the smoky highway to tackle the Lions in what could be a cracking all-Highveld clash. That said, the home side are just back from a terrific overseas leg, with three wins landed from four attempts. My fear from a Lions point of view is that despite their courage in Australasia, they’re going to be a bit footsore for this one so soon after the long-haul return: it is the first of two derbies (Sharks next) before they get a welcome bye. Johan Ackermann’s feisty charges have a good chance, make no mistake ... and the absence of Handre Pollard this week doesn’t help the visitors. 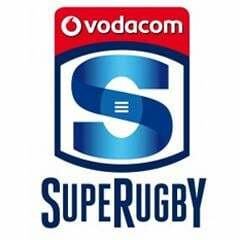 But I still have a stubborn hunch the Bulls, even minus pack inspiration Victor Matfield, will avenge a costly Jo’burg defeat for them last season. Background: I have a strong feeling that one of two significant things is going to happen Sharks-wise in this appealing fixture on paper: either the home team are going to tear off the shackles and produce a well overdue fluid, entertaining brand of rugby ... or we will hear the “pop” of a bursting bubble, confirming that they just don’t have the pedigree of realistic title-chasers this year. Somehow, the Sharks are on a three-game victory roll without putting proper smiles on their supporters’ dials. In short, these wins have been grimly eked out, for the most part. Perhaps fuelled by patriotic juices, I am leaning toward “Scenario A” coming to fruition in this one. It’s dangerous, and not said very confidently given the individual quality peppered throughout the Crusaders’ ranks. Throw in the fact that the New Zealanders will be fired-up to atone for Loftus, and an away triumph is perfectly possible. But c’mon Sharks ... with livewire Messrs Lambie, Reinach and Coetzee back in the frame this week and perhaps some squad indignation over the belated suspension of Frans Steyn, it’s time to rock ‘n roll, isn’t it? Key head-to-head: Now, more than ever, the Sharks need in-form PAT LAMBIE, well rested from a personal week off, to lead by example as they go about the stiff task of seeing off the seven-time champions. He has seemed to thrive on the extra responsibility of captaincy when it has come his way this season (remember the “Bismarck madness” game against the Chiefs?) and if the Sharks are going to show some hitherto absent backline zest he and halfback partner Cobus Reinach should go a long way to making it happen. The ‘Saders may be missing Dan Carter here, but another slippery All Black in COLIN SLADE slots rather seamlessly into their No 10 channel, where a high-quality tussle seems near-assured. Background: Two games against decent sides (Chiefs, Highlanders) from New Zealand ... two thumping losses. Suddenly the Stormers’ great start has been considerably nipped in the bud, and seen them slip to innocuous eighth overall with not even a bonus point to sport from those reverses. So pure common sense tells you that they should be under the weather again at the Cake Tin, this time against unbeaten tournament leaders the ‘Canes. But there are a few things in their favour, even if underdog status is totally warranted. For one thing, I’d expect them to be a bit more clear-cut in their approach, after an “all seasons” sort of tactical ineptitude in Dunedin. They are also re-infused by the presence of captain and tough, inspirational No 8 Duane Vermeulen. Then there’s their modern record against these foes: three wins on the trot since the tournament changed from Super 14 to Super Rugby, including one away (albeit at Palmerston North) in 2013. So the heart says a Stormers bounce-back may happen ... but I’m reluctantly going “head” here. 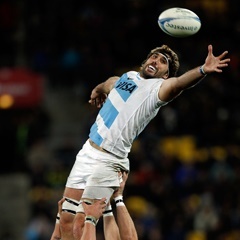 Key head-to-head: The match-up at No 12 between the Hurricanes’ 150th-capper Ma’a Nonu and Damian de Allende is another particularly good ‘un, but I’ve opted here for EBEN ETZEBETH against JEREMY THRUSH in the clash of No 4 locks. Etzebeth, frankly, owes the Stormers some of his fire and brimstone of a couple of years back, after a desperately disrupted Super Rugby career since. He still looked a bit short of a gallop when introduced as a substitute against the Highlanders, and a return to former glories would be seriously timely on Good Friday. Thrush, who turns 30 later this month, is considered more an honest work-horse than outright legend of the second row ... but you also don’t earn 11 All Black caps if you’re a mug! Still, you have to fancy Etzebeth to assert himself in this mini-contest.